Our bowls come in a variety of shapes and sizes...from round to oval, tall to short, small enough to hold mandolin picks to large enough to hold your cat. 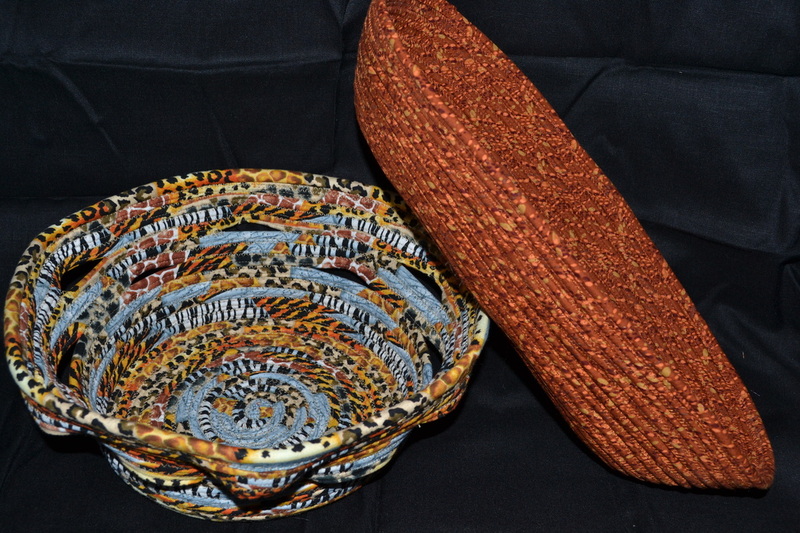 Made from cotton fabric and cording, our bowls can be used to hold almost anything your imagination can think of. We will happily customize your bowls to commemorate your special occasion or match a specific color scheme. We have recently joined with the high quality Windrift Hill goat milk lotions to create gift bowls for that special person in your life. These baskets include combinations of scented soaps, bath salts, body butters, and hand lotions. Come by our Farmers' Market booth and try out these fragrances and lotions. You will be amazed how they make your skin feel. While we've had tremendous success with selling our bowls...we've also had many people who have wanted to learn how to make their own bowls. 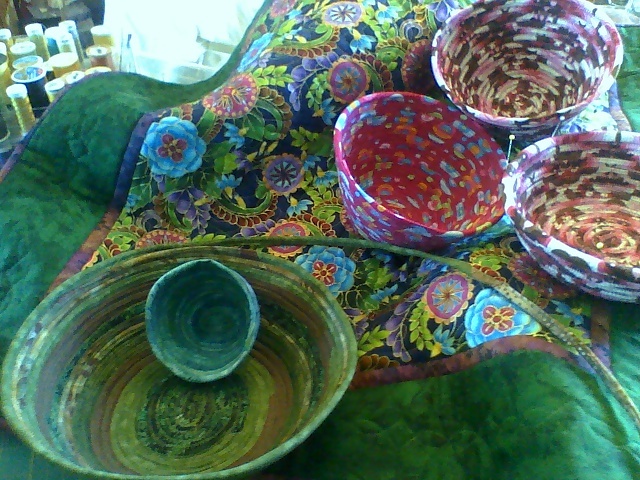 We now offer bowl kits, which include everything you need to make your own bowl plus a 3-hour lesson.